The Israeli start-up Aleph Farms, developer and producer of “Clean Meat” (laboratory meat), recently called on the US Department of Agriculture (USDA) to support and promote Clean Meat. The company points out the advantages of the product when compared with conventional meat products, especially in the area of food safety. Aleph Farms’ demand is in response to an initiative by the US Cattleman’s Association (USCA), which called on the US authorities some time ago to restrict the term “meat” to slaughtered animal products. The USCA represents the interests of the meat industry, which is threatened by the new plant-based and cultivated alternative products. They are primarily concerned with legitimate labelling requirements and “honest” consumer information. 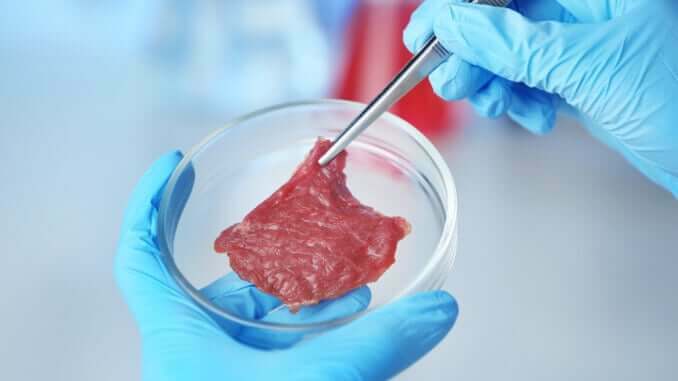 In their recent statement, the Israeli laboratory meat specialist argues in favour of the unmistakable health and safety advantages of Clean Meat over conventional meat. Clean Meat does not use antibiotics, and meat grown under controlled conditions is free of pathogens. Moreover, the production of this alternative is reported to be more environmentally friendly than traditional livestock farming. Animal welfare activists and some members of the vegan movement also support this position. They especially criticize the often appalling ways in which animals are kept and slaughtered. The CDC estimates that more than 400,000 people in the United States contract infections caused by antibiotic-resistant bacteria every year. Furthermore, the use of antibiotics cannot prevent the contamination of meat with pathogens. Manufacturers of clean meats such as Aleph Farms ensure a safe and controlled environment in their production to prevent the development of bacteria. “Clean Meat’s innovation is a natural development in accordance with USDA guidelines for reducing pathogen contamination. Most (conventional) meat is contaminated during the slaughtering process, and clean meat eliminates this risk,” says Didier Toubia, co-founder and CEO of Aleph Farms. Worldwide demand for animal-free products, especially plant-based alternatives, is increasing. Large parts of the established meat industry understandably view this development with concern – they strive to defend their own position, and not least protect their own economic interests. However, the global trend towards plant-based or, in the sense of laboratory meat, cultivated food, is continuing and is unlikely to be halted by lobbyists’ protection initiatives. Toubia says, “We understand that this is a sensitive issue for farmers, but at Aleph Farms we see the introduction of Clean Meat as an industry-wide opportunity, not a threat. We do not want to replace traditionally raised meat, but we do want to offer the consumer an additional choice.” Other well-known meat producers also see the current development as an opportunity and are investing in promising alternatives – for example, the German retail giant Wiesenhof and leading US meat producer Tyson. Co-operation in this field can therefore be achieved without neglecting one’s own traditional business interests. Politics naturally plays an essential role in this issue, and can certainly have a positive influence. However, future developments and decisions remain unclear for the time being.